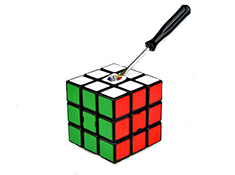 This is the new Rubik's Speed Cube with tough tiles. The traditional stickers have been replaced with plastic; which mean no fading, peeling or chipping! 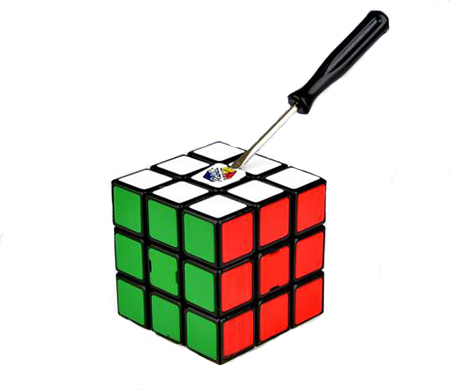 The Rubik's Speed Cube has an all new mechanism with faster movement, amazing corner cutting and zero pops. Basing it around a brand new spherical enclosed core design ensures that there is minimum friction between internal moving parts, as well as between cubies. This revolutionary new design allows not only for faster turning parts but also balances fantastic corner cutting with no pop technology. Never again will you pop doing a record time.